Inclusive education was introduced to me almost twenty years ago. 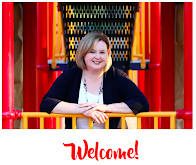 After graduating from university as an elementary teacher, I began working for a school system that embraces the inclusion of special needs children in the regular classroom. Their needs have ranged from moderate to severe. I have taught students with conditions such as Attention Deficit Hyperactivity Disorder (ADHD), Asperger’s Syndrome, hearing impairments, developmental delays, and Cerebral Palsy. My classrooms have also included gifted children. 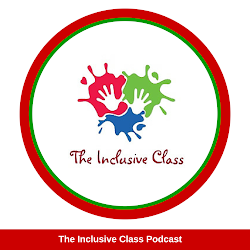 In the beginning of my career, I relied solely on the expertise of school specialists and administrators to guide my teaching practices in the inclusive classroom. While I was told that parents could be part of the inclusion process, I didn’t actively promote parental inclusion. I assumed that the school experts knew best. I came to understand the value of parents in the inclusive classroom after my first child entered the school system. My son had special needs that had to be accommodated in his inclusive kindergarten class. Suddenly, I found myself thinking as a parent and not a teacher. Would my child’s strengths and weaknesses be addressed? Would the teacher help him make friends? Would my son be seen as a peer or an outsider to his classmates? Within the first few months of school, I became anxious and frustrated. I watched as the classroom teacher taught my son in ways that were limited to the recommendations of his IEP (Individual Education Plan) I knew so much about him that could truly make more of a difference in his education. I had spent hours observing him, reading books, talking to professionals and attending workshops. I had insight into his special needs. I realized that I could not expect the school to fulfill all of my son’s educational goals without my support. I needed to become involved in the process. I could share information with the teacher that I had gathered from research and reading. I could make suggestions for additional learning services and supplemental activities. Most importantly, I could provide proactive guidance and support. Now, ten years later, I am a parent of two special needs children in the school system. I have learned how to successfully work with my children’s teachers and schools. Some situations have been more difficult than others, but overall, we have had many positive experiences. I have also transferred the knowledge gained by being a parent of special needs children back into my own classroom. As an inclusive education teacher, I have learned that parents are one of my best resources! I now actively encourage their participation in the inclusive journey. 1. Inform the School. 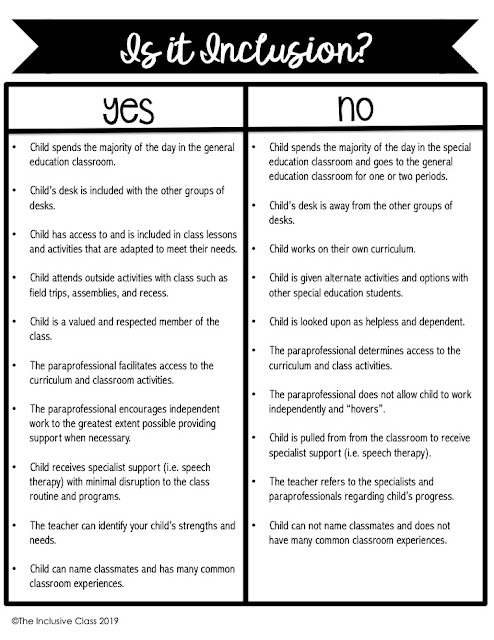 When registering your child for school, indicate in writing that he or she has special needs. 2. Meet with the Principal. You can ask questions related to school safety, routines, resources and steps that will be taken to address your child’s special needs. 3. Meet with the Teacher. Do this as soon as possible, and definitely before the first IEP meeting. 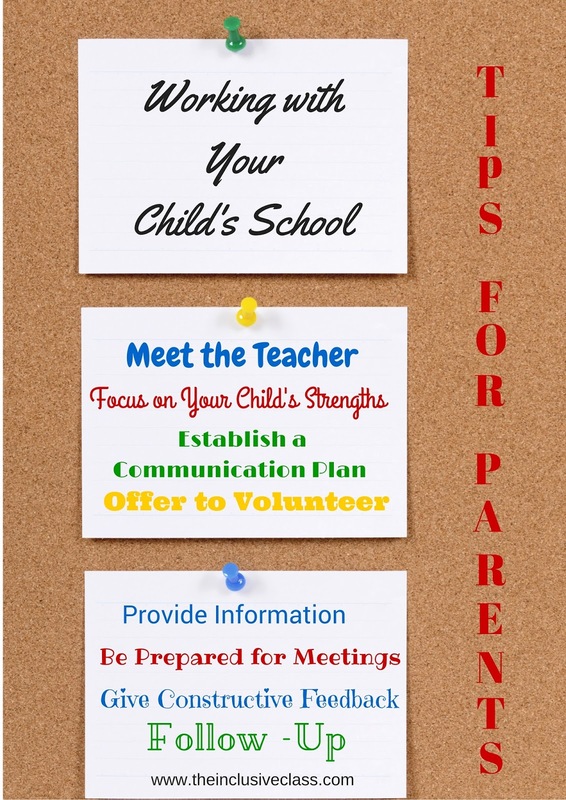 Use this time to introduce yourself and share information about your child. 4. Develop a Communication Strategy. Set up the best method to communicate with the teacher to share brief updates and information about your child's progress. 5. Demonstrate Capabilities. Bring in a portfolio of your child's work from home to meetings with the school, to demonstrate your child’s overall strengths and weakness. 6. Provide the Teacher with Resources. Create a folder of handouts, articles, written strategies, or website addresses that you believe will be useful to the education of your child. 7. Help and Support the Teacher Lend a helping hand in the classroom! Be prepared to support other children too, as this frees up more time for the teacher to work directly with your child. 8. Prepare for the IEP Meeting. Be prepared for the IEP meeting by making sure you arrive on time and know what the goals of the meeting. Write down questions and concerns you have, regardless of how certain you are that you will remember them. 9. Provide Information and Evidence. Notify the school of any outside evaluations, medical information or support services that can help school personnel continue to provide a strong educational program. 10. Offer Feedback. If needed, provide constructive feedback. Indicate what has worked best for your child and what hasn’t. Teachers reflect daily on their practice and make changes according to their students’ success. 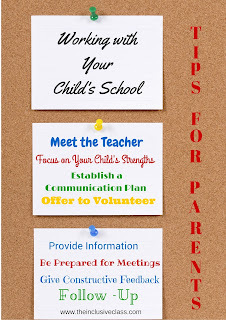 A parent’s active participation in the education of their special needs child is invaluable. By sharing knowledge, resources and time, parents can help ensure that their child is in the best possible learning environment. Together, parents and teachers of special needs students can create pathways to school success. This is the best advice! Thank you for putting it in one place!